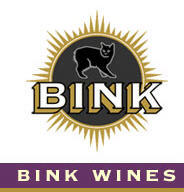 Bink Wines is a partnership between owners and winemakers Deborah Schatzlein and Cindy Paulson. All of the wines come from the Yorkville Highlands appellation, which is located just south and inland of the Anderson Valley in Mendocino County. Deborah has degrees in chemistry and biology, has taken many courses in viticulture and enology, and received winemaking experience in the Napa Valley and Russian River Valley. After a career as a chemical process engineer and environmental consultant, she ditched her day job to follow her passion for winemaking. The name, Bink, comes from the Manx cat with a black coat and beguiling eyes. The lineup includes a Syrah and Merlot as well. All of the wines are crafted at Bin to Bottle in Napa. The wines are sold on the website. 707-246-4468.